Glassware, Tags and Candy…Oh My! 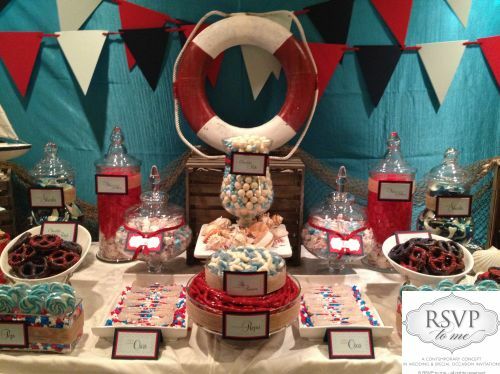 So you’re thinking of having a gorgeous candy buffet at your next event? What a great idea! Oh??? What’s that? You’re thinking of doing it yourself to save money? Great!!! 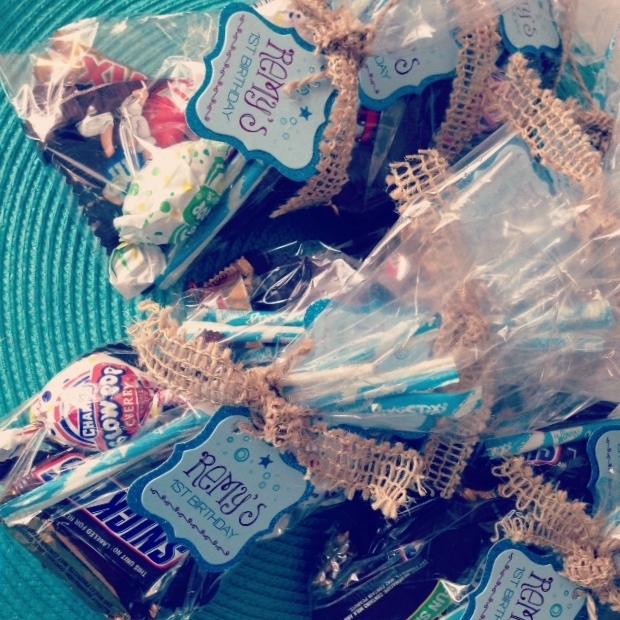 It’s fairly simple really…all you need is a table, some jars, candy and labels, right? Sadly, NO! Agreeably, it’s an amazing idea, brings happiness to all your guests and brings the kid out of every adult attending. This is by far not the place to try to DIY to save money. Between tables, decorations, glassware, supplies, tags/labels and of course the candy, with so much involved, it is not only time consuming, but gets extremely costly. Leave this one to the pros. Companies that offer such services are able to supply these items for far cheaper than you can on your own. We already have the tables, glassware and decorations in stock; therefore will be cheaper to use then buying your own. Since us “sweet” companies do this all the time, things like the professional tags/labels that will all be color coordinated and the candy which will be obtained with wholesale prices will come at a fraction of the cost. With the day of the event finally here, I’m sure you will have all the free time possible to set up the table properly, paying attention to every tiny detail to ensure the professional look you undoubtedly saw in a magazine or online….oh, no?? You don’t have that free time?? 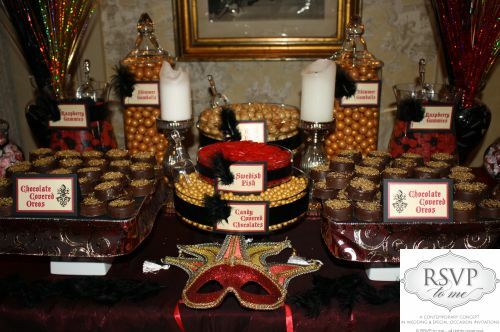 Your candy buffet vendor has nothing else to do that day but to cater to all your candor needs. So don’t skimp out when it comes to bringing out the inner child in your guests, give them that thrilled feeling they have been missing for years! 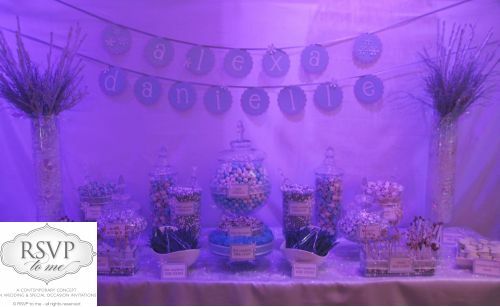 Visit our “SWEET” website at www.sweetbyrsvptome.com and contact us CONTACT US if you are planning a special sweet treat for your event and don’t want the D.I.Y. hassle. Here’s some “EYE CANDY” for you in the meantime…. It is not very often I am given the opportunity to share with everyone a dessert table that is so personal and not just near my heart, but from my heart! 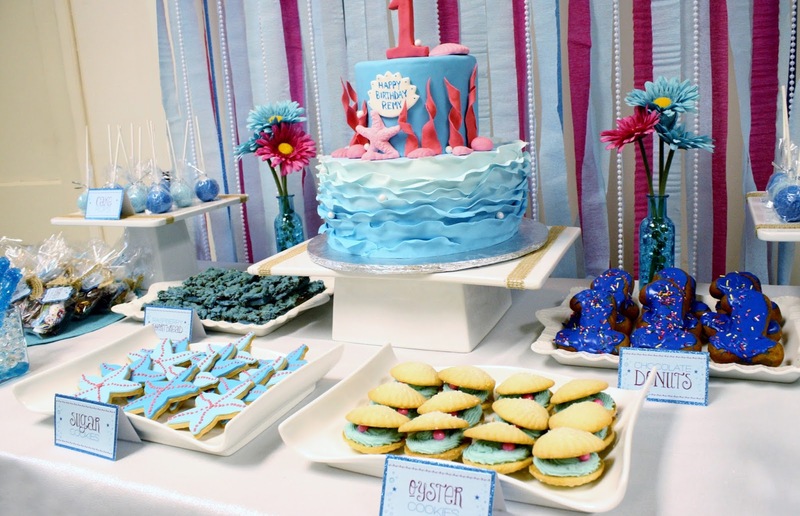 This table was designed and set up to celebrate my gorgeous little angel Remy turning 1 year old. 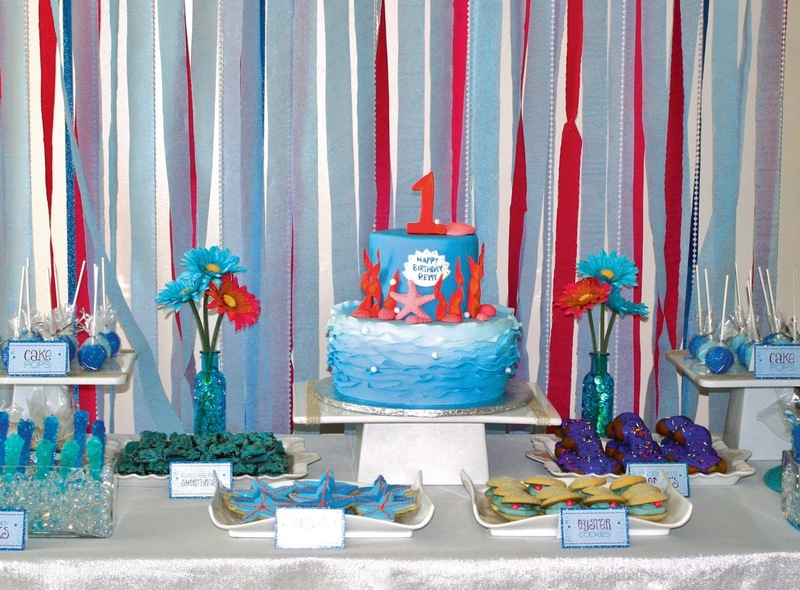 Because the party was such a huge part of my heart, I refused to fall into the cookie-cutter 1st Birthday party ideas. Pulled out the list and ran through it many times. Barbie Party…nope! American Girl party…no way! Dora the Explorer…I think not! I turned to the professionals on this one, my 5 year old son. 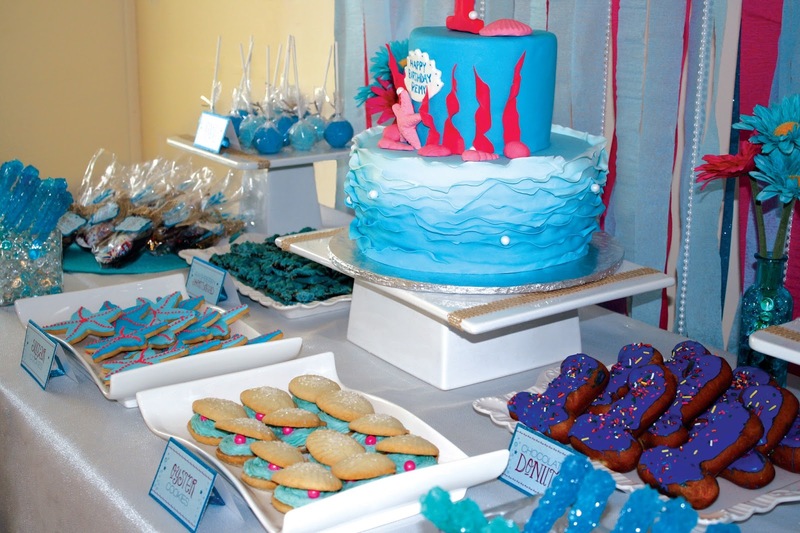 With my expertise and his endless imagination, we came up with a fun unique idea, Mermaid/Sea themed 1st Birthday party for our little Remy. I spared no details on this one! 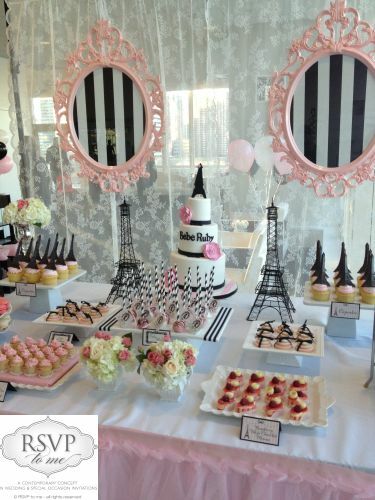 I teamed up with a frequently used vendor, Hudson Valley Cakery, we worked and slaved over ideas for Remy’s dessert table. After kicking around ideas, themes, colors and which of the millions of amazing options available from Hudson Valley Cakery, we painfully narrowed it down to 1/2 dozen of our favorite featured desserts. As you can see in the pictures, we have a final product that is nothing shy of edible heaven! 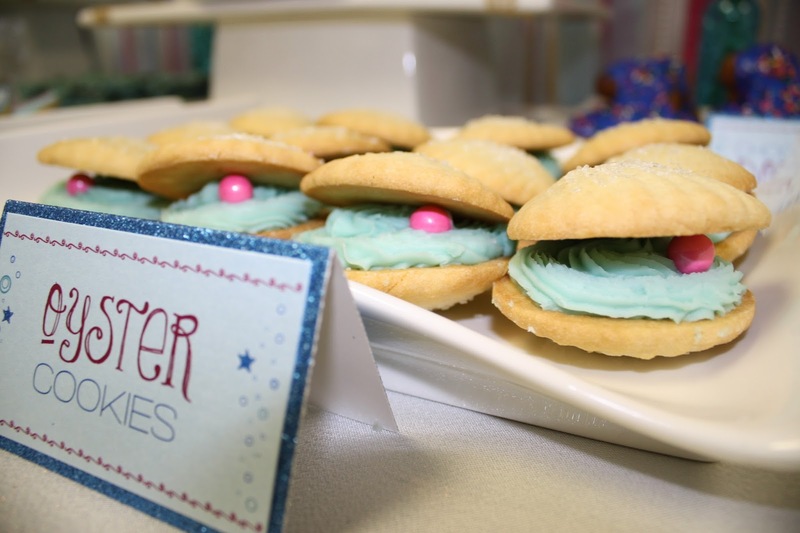 From the decadent cream filled sugar cookies turned into “Oyster Cookies”, to the “Starfish” sugar cookies and Cake Pops, we supplied Remy’s guests with an array of ocean desserts that brought them begging for more. With a beautiful satin streamer backdrop, Remy’s two-tier cake was the star of the show! 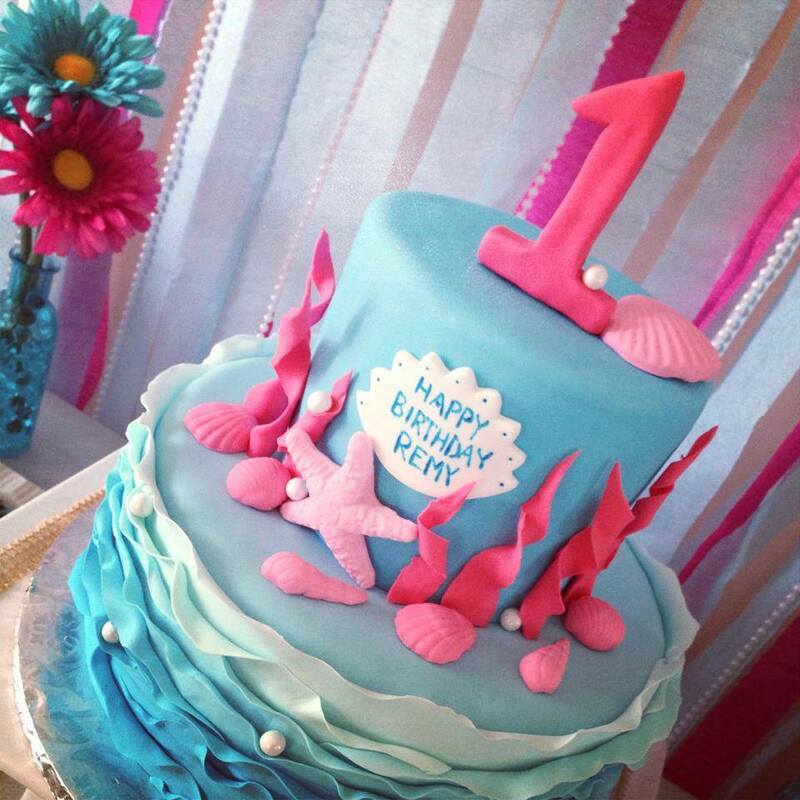 The flawless ruffles of the ocean water, to the shiny rich pearls brought the base of the cake to life. 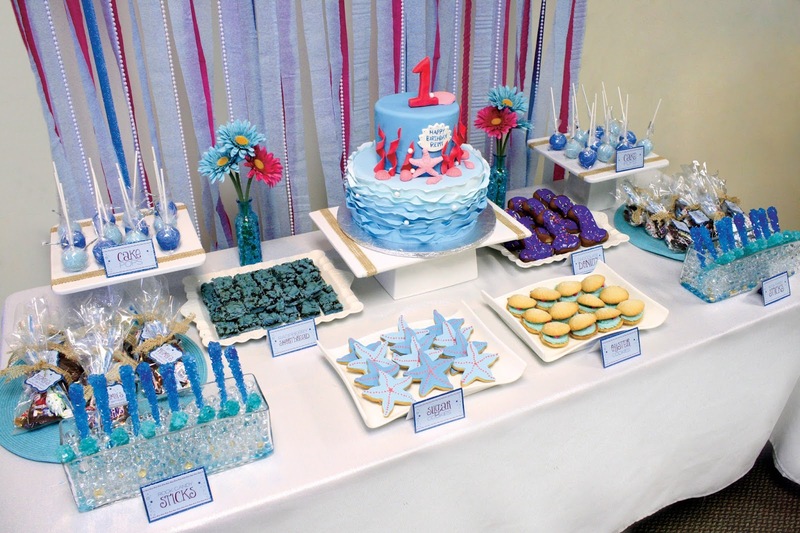 The seashells and coral that wrapped the second tier helped bring her cake to a climatic finish with a proud “1” to show all of our guests how big our little Mermaid was that day. 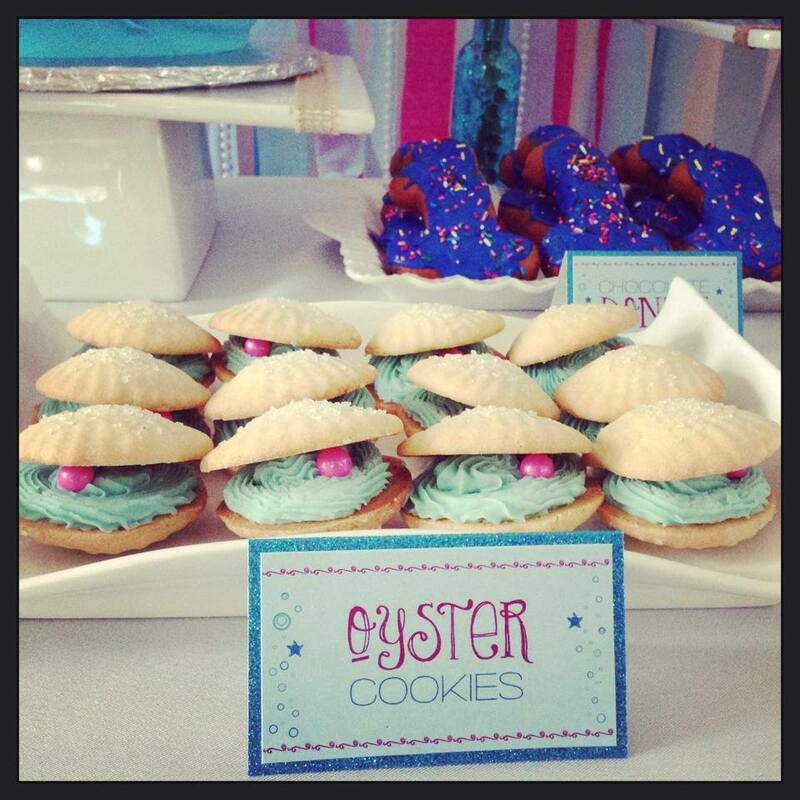 Oyster cookies wouldn’t be the same without that perfect chocolate pink pearl!! 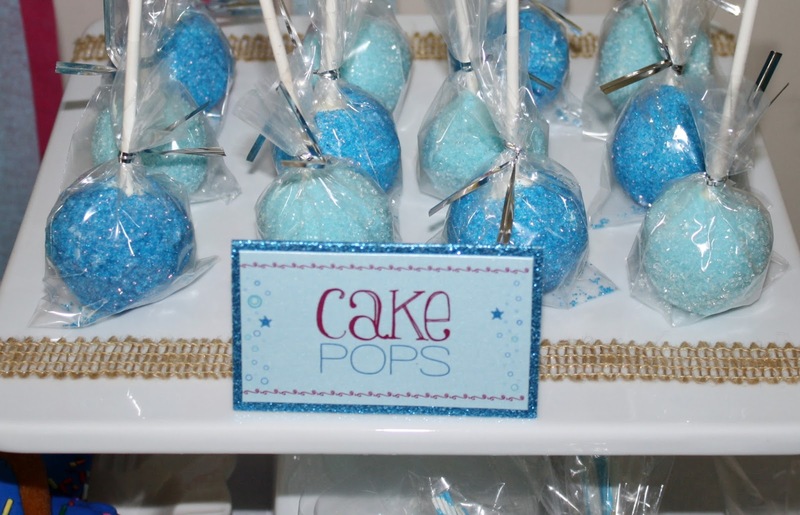 Chocolate and vanilla cake pops decorated with glitter sugar – YUM! 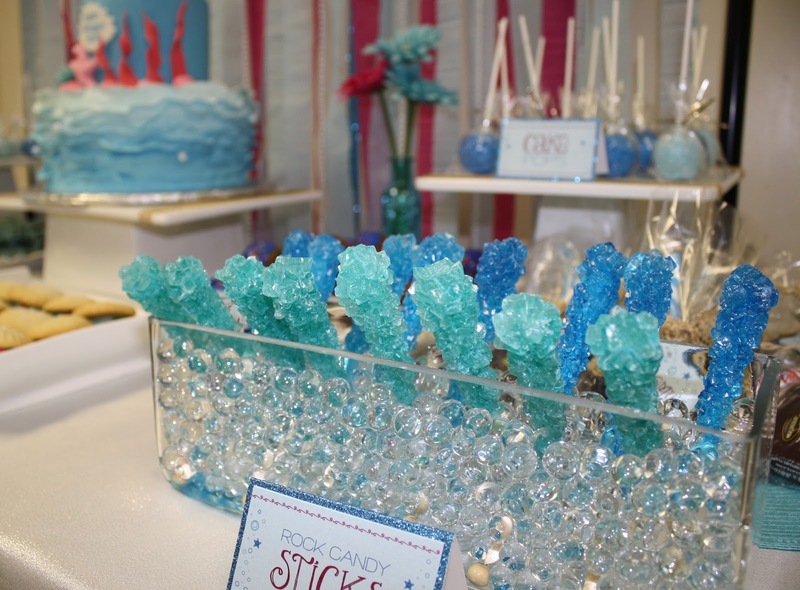 Rock Candy Sticks in water pearls went over ‘SWIMMINGLY’! 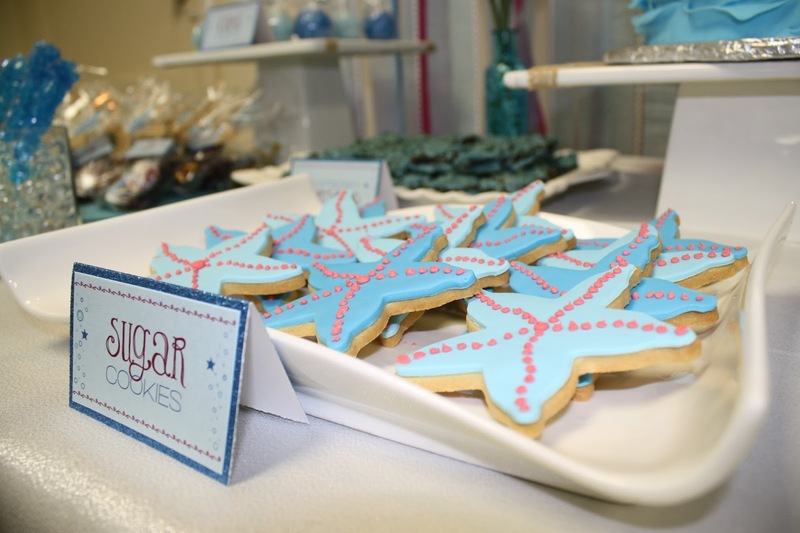 PERFECTLY decorated starfish sugar cookies – another huge hit! To ensure each Sea-goer did not leave soggy and unhappy, each party goer was given a Diver’s bag of treasures to spoil themselves at home with. Topped to the gills with candy and sealed with burlap and Remy’s seal of approval.